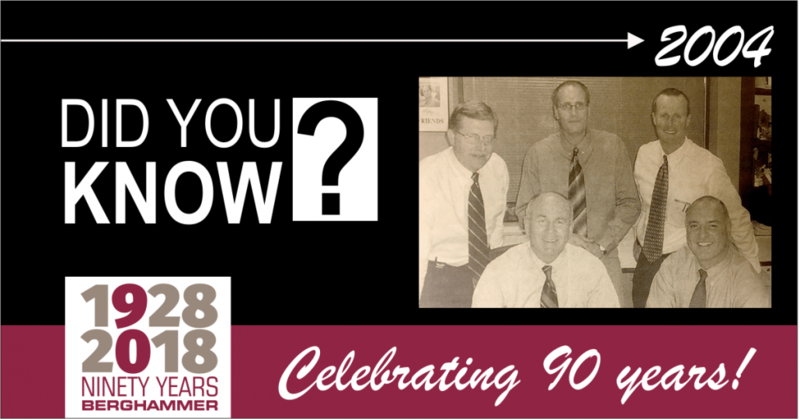 In 2004, Berghammer built a new executive management team which included (standing, from left) Glenn Gohlke, Craig Resigner, Jim Parks and (seated, from left) Leif Nesheim and George Minnich. 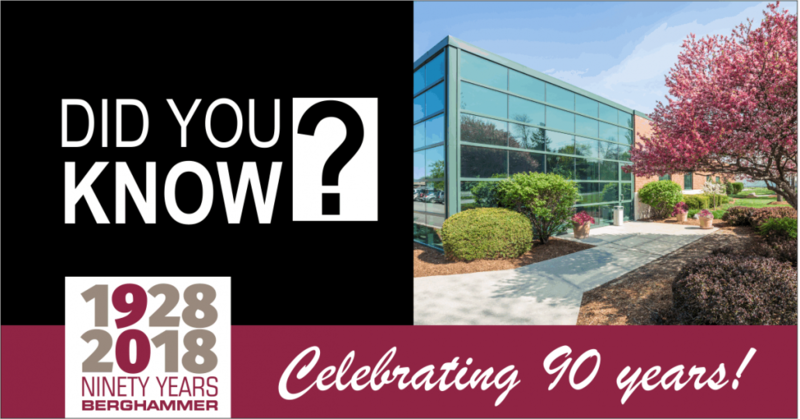 After Leif Nesheim and Don Nord acquired the Berghammer brand at the close of 1987, the firm quickly outgrew the State Street office location and in 1995 constructed a new 15,000 square foot corporate HQ in Butler, Wisconsin. 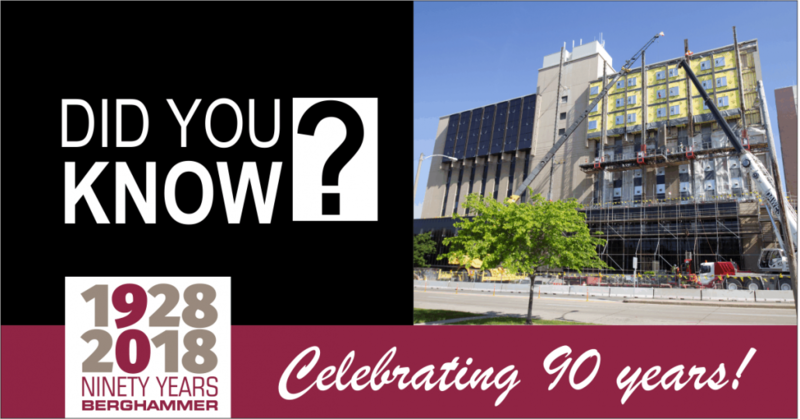 We’re approaching the end of our 90th year celebration and this “Did You Know?” Berghammer history series. 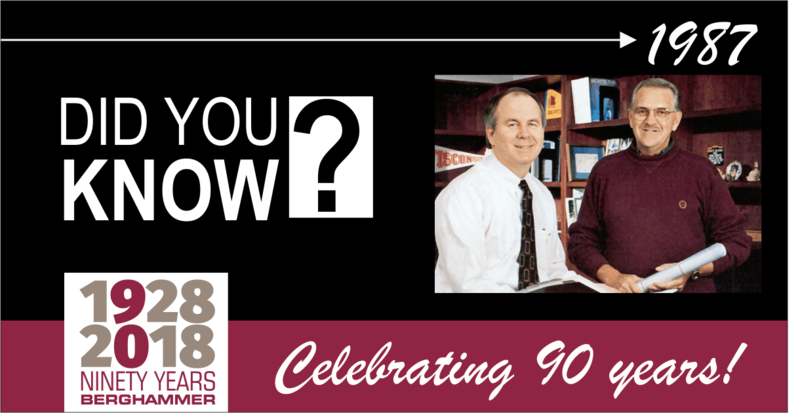 The biggest transition in Berghammer Construction’s history came at the close of 1987, when Ed Berghammer, Jr., owner and son of the company’s founder, retired and sold the reputable Berghammer Construction trade name to Leif Nesheim and Don Nord, who were looking to start their own business. The Breeze Terrace Apartments project will consist of a gated community of 213 apartments as three 33-unit apartment buildings, and six 19-unit apartment buildings with a club house and associated parking. The 33-unit buildings will be an even mix of one and two bedroom units with common entrances and hallways within the three-story buildings. In the 19-unit buildings, the majority of the apartments will be one-bedroom, with individual entrances within the two-story buildings. Client: Interstate Partners II–WI LLC. MMAC’s Council of Small Business Executives (COSBE) partners with Milwaukee Public Schools to host 50 behind-the-scenes business tours for more than 1,000 seventh graders throughout the year — exposing them to potential local jobs and careers. Berghammer Construction, in conjunction with Aurora Health Care, Neumann Company, Zimmerman Architectural Studios, Venture Electric and JF Ahern, provided a 90-minute on-site experience at our under-construction Aurora Six Points Clinic for 32 students from Rogers Street Academy. Berghammer congratulates client, Glenn Rieder Inc., on making the Milwaukee Future 50. The Future 50 program was created by MMAC’s Council of Small Business Executives to recognize top local firms that are growing in revenue and employment. Earlier this year, Berghammer completed Glenn Rieder’s new 120,000 SF manufacturing and office facility in West Allis. We’re done with the tower crane at our Synergy mixed-use residential project at Mayfair Collection in Wauwatosa. How do they dismantle the crane? With another crane. Three of our time-lapse cameras captured the event. Nearing completion: Aurora Health Center – Six Points, West Allis. The new, 30,000-square-foot clinic, located at the corner of West Greenfield Avenue and Six Points Crossing, will offer primary and specialty care, urgent care, as well as pharmacy, laboratory, and medical imaging space.